Elder Kathy (Wan Povi), from San Ildefonso Pueblo, is a founding member of Tewa Women United, former executive director of the organization, and now serves as elder and program manager for our Environmental Health and Justice Program. She is also a member of TWU’s SaYain / Circle of Grandmothers. Elder Kathy has dedicated her life to working on culture, the environment, and social change. 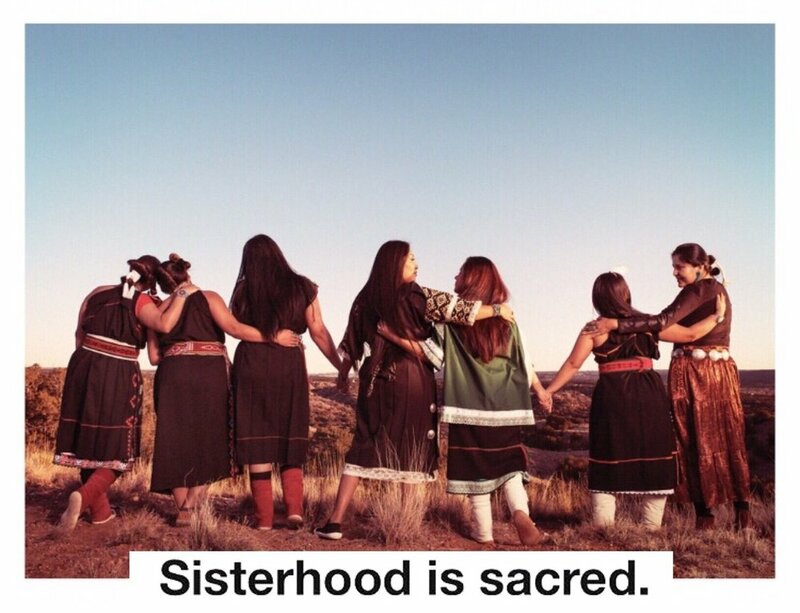 Tewa Women United’s founding in 1989 — nearly 30 years ago — was very much the collective effort of a number of powerful Native women. At the same time, TWU has been deeply informed and inspired by Wan Povi’s heart and vision, and would not be the organization it is today without her. Over the years you’ve probably seen Elder Kathy offering her presence at countless gatherings, rallies, and convocations. She’s organized with rural and indigenous women at the UN Committee on the Status of Women, testified at New Mexico public hearings on Los Alamos National Lab’s devastating impact on health and environment, and so much more. The Butterfly Model is based on the image of the butterfly which to Tewa people signifies transformation, mobility, vulnerability, and power to impact the multi-verse because of and despite its delicacy…. The model continues to serve as the foundational philosophical model for TWU because it discusses our wholeness of being, using identity, language, and spirituality as a strength that leads to our mobility (fluidity) in changing and challenging times. Two more of Elder Kathy’s innovative contributions to our work are Trauma Rocks, an experiential process to identify and heal generational trauma, and the Gathering for Mother Earth. This annual event, started by Elder Kathy in 1996, is now organized by a coalition of organizations (including TWU) as a celebration of cultural ways to share love and gratitude for Mother Earth. The gathering offers the community an opportunity to come together for eco-systemic revival and revolution. We celebrate Kathy Sanchez & aspire to make her proud! She teaches us that healing is possible & is necessary.